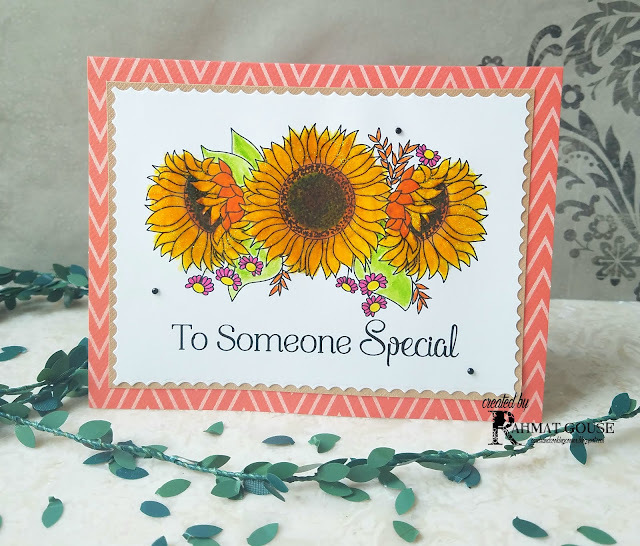 Hey all I am up with a simple card using an upcoming freebie from Inspired by Stamping. This will available in their next newsletter, you need to subscribe to get their Newsletter, click here to go to the blog. I printed the image on Canson Bristol paper and used Staedtler markers along with the zig clean color markers to color the image, blending in with water of course. I added a textured kraft to the die cut front, and added a textured base, and a few jewels to finish off. I absolutely love sunflowers, and can never get tired of coloring these, I have used different colors to color this time, and I hope you guys like it. I did add some wink of stella on the flowers to get some shimmer, and it looks brilliant. These sunflowers are so beautiful !! Definitely love it! 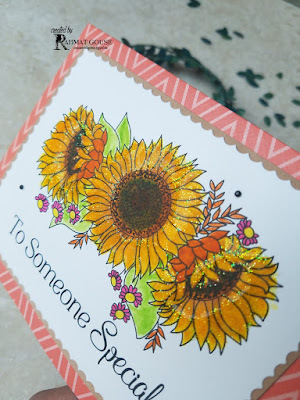 Really pretty sunflowers too! Fantastic cards. Love the beautiful sunflowers.